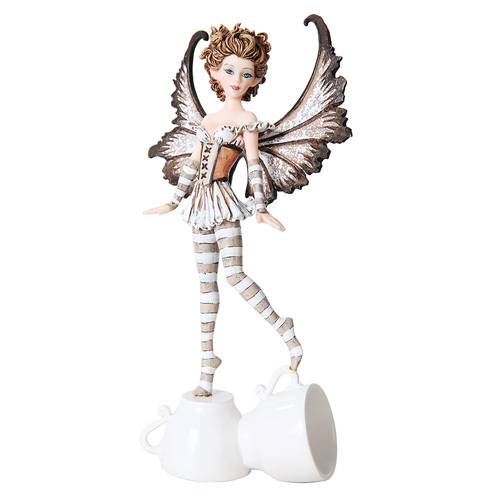 This fun fairy is perfect for anyone with a love of caffeinated beverages! 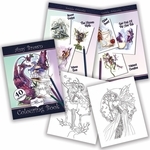 The pixie has an espresso theme, with wings and an outfit in shades of brown, black and white. She stands upon two small mugs. The perfect figurine for any faery lover's collection! Size: 4" x 2" x 7 1/4"